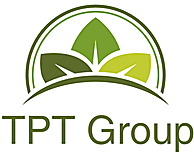 TPT Group was founded in 1999 and consists of companies in the electronic security, finance, information technology, commercial/industrial property, and technology sectors. Businesses include Advanced Security Group, Technology Leasing (NZ) Limited, Sentinel Technologies, Promessa Property Group Limited, ASGSPL Limited, ASG Technologies Limited, VigilAir Limited, Asset Insight Limited and TPT Group Investments Limited. To date TPT Group have had 8 successful startup companies and completed 8 acquisitions in New Zealand.